Or Autumn, depending on where you're from. The Harvest Moon has just passed. The hay is being rolled in. The horses near our village are enjoying the weather- if their romping in the fields is anything to judge by. This would be a great time for a horseback ride... I'll have to mention that to the mister. I love fall. Do you? The crispy weather, the leaves changing colors and crunching under your feet. The chilly breezes resulting in pink cheeks. The shoes. The boots. The jackets. The scarves. I currently have my eye on a G-O-R-G-E-O-U-S emerald green vest that I just think I have to have. The mister disagrees. The mums decorating my patio. The sunflowers in my window. Pumpkins and gourds and squash everywhere. So while everyone is getting excited about pumpkin everything- pumpkin lattes, pumpkin pie, pumpkin soup- I'm kind of lamenting the end of summer. Yes, of course I'm excited about fall- this is probably my second favorite time of year and my absolute favorite time to buy clothes, but I'm going to miss fruit. Perhaps I should get excited about apple everything- apple cider, apple crisp, apple pie... what else can I work apples into? 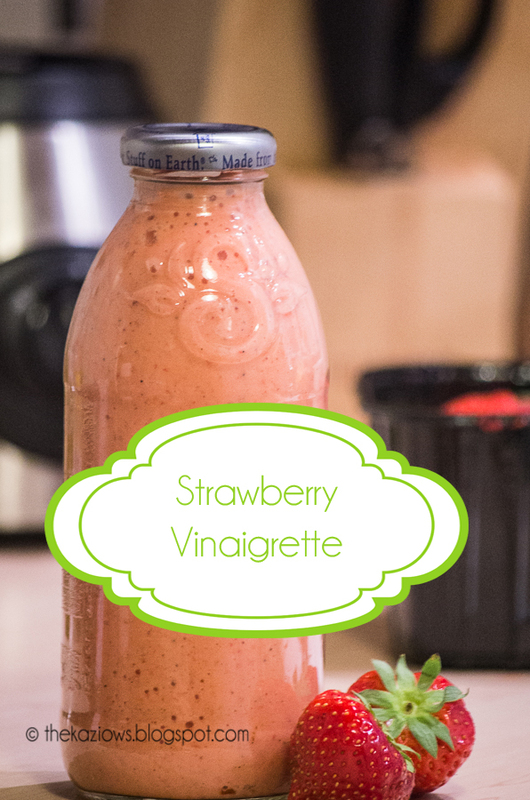 The problem with buying so many strawberries is that we can't eat them all before they go bad, so I decided to try making a Strawberry Vinaigrette. I've been making our own salad dressings for a while now and I rather enjoy the process and I feel like they must be healthier for us. They are fresher, at least. And, yes, I store my dressings in used Snapple bottles or sometimes used Coconut Oil jars. I find that either one is the perfect size and I don't have to buy anything new. Reduce, Reuse, Recycle, man! I worked mostly from the recipe from The Gracious Pantry, but I tweaked it a little, adding some tarragon and a dash of fennel seeds. I used a bit more ACV, too, because I like the vinegary bite it adds. And I didn't measure anything as I was going along. I think next time I'm going to try it with balsamic vinegar. 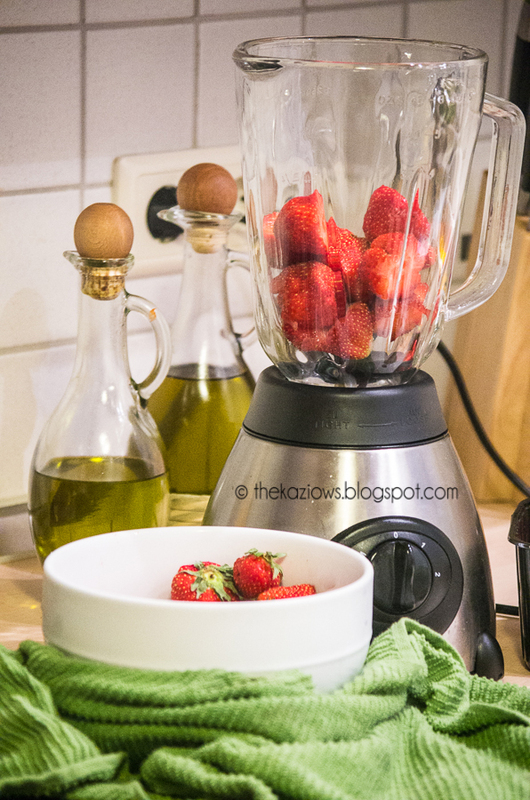 I love drizzling it over fresh strawberries and eating them that way - so decadent! - so I'm pretty excited about that. What are your favorite parts of fall? Is it the clothes? The Christmas Shopping? The fact that the kids are back in school? Or do you spend your days savoring the last little bits of sunshine before winter sets in? (Around here winter can be rather gloomy.) And if you have any yummy dressing recipes you like, please share away! I love trying new things!